Mark McGeeney holds the honor of winning the Lincolnshire Open 2015 and Weoley Castle Open 2010 and is currently ranked as the number one player in Men’s Dart rankings. 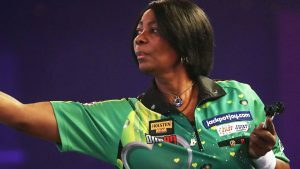 Deta Hedman currently holds the number one plance in Womens Dart Rankings. Hedman is a 2 times World Masters winner and three times runner-up in the Darts World Championships. She is followed by Netherland’s Aileen de Graff and Sharon Prins who are placed 2nd and 3rd respectively. Next articleTest Cricket Destiny: Will This Format Survive?